In People's page, you can invite employees or contacts to your project. There are two ways to invite. Click the +Project link on each contact row. 2. Once the Add Contact to Project pop-up appears, select an existing project you would like to add them to, add the contact's company name if one doesn't exist, select the project permissions this user should have, click Save. 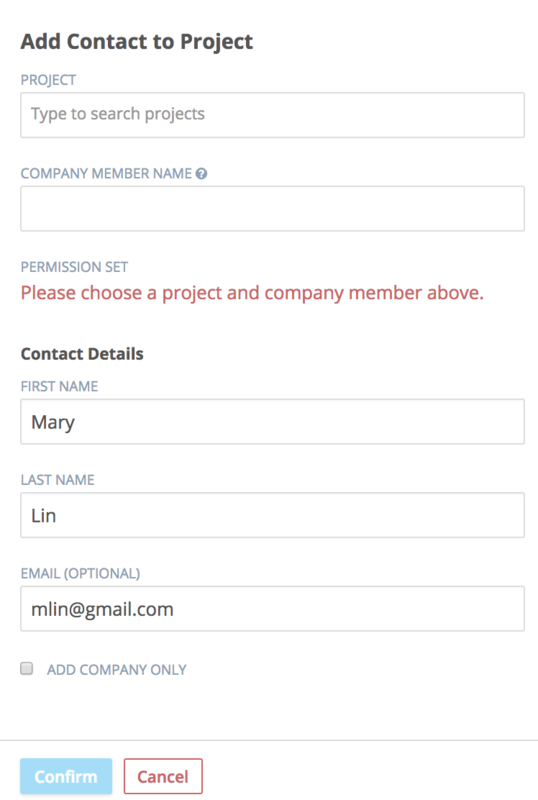 Once the Add Contact to Project pop-up appears, select an existing project you would like to add them to, add the contact's company name if one doesn't exist and select the project permissions this user should have. As always, if you have any questions or concerns, give us a shout! We'll be happy to help!